I was very much intrigued when AKG released their latest headphones, the Y50 range. This for me was an interesting leap into portability by AKG – often you see audiophile brands such as AKG, sky away from these types of models, as they tend to be cheaper and therefore have quite shoddy sound quality. I was thus looking forward to reviewing the Y50 and hoping this wasn’t the case with this particular line – I was also intrigued to see how it fairs against its more expensive brothers the AKG K551’s and the AKG K545’s which I’ve previously reviewed. The AKG Y50s can be bought for around £80 on AmazonUK & AmazonUSA for $100. 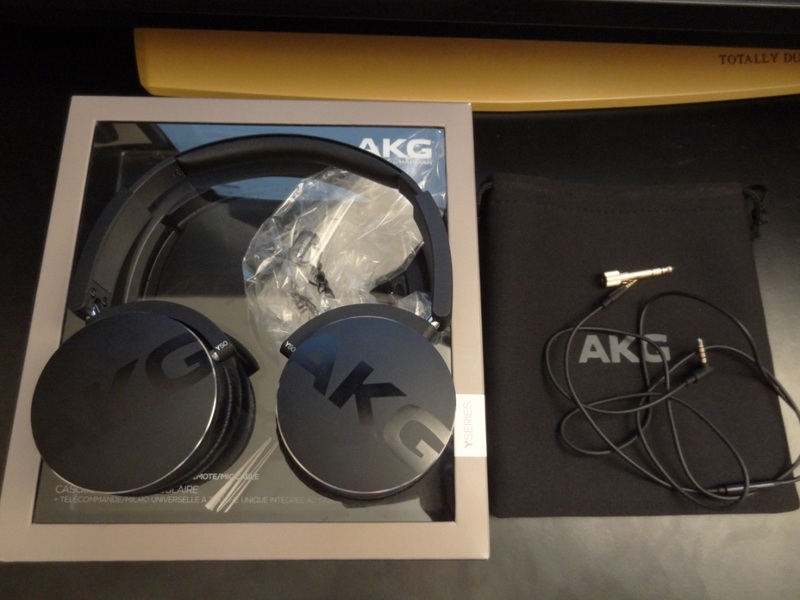 The packaging is like other AKG products I’ve previously reviewed – simple, yet effective. It wouldn’t stand out in a crowd but would look elegant on a shop floor. The accessories provided are almost perfect. All of the above are what you would expect from a portable headphone – although what I was a little disappointed with was the cable provided. It seems that it has intermittent connection with my Samsung Galaxy S3 (with random disconnects and crackling noise at times). It annoys me that the cable (brand new) provided caused this – which leads me unto the point of wanting to have another cable provided. I’m not saying this due to my problems, but also due tot he nature of the cable. By that I mean, I couldn’t use the Y50s with my Denon X500 receiver, due to the mic causing problems with a non-mic enabled source (this will also be a problem with older devices, such as the Samsung Galaxy S1). Therefore, I know I might be asking for a little bit more at an affordable price point, but it would have been nice to see the inclusion of another non-mic cable included alongside the one already provided. Due to it being more of a personal (potentially isolated) issue, I didn’t feel the need to drop the rating that much for this section. This also comes down to its price point. If these headphones were priced at £180, rather than £80 – then I would have dropped the rating quite significantly for this section. At £80, especially compared to other headphones out there, it’s an above-par package to receive with your headphones. Overall, the package is plentiful, but not perfect. 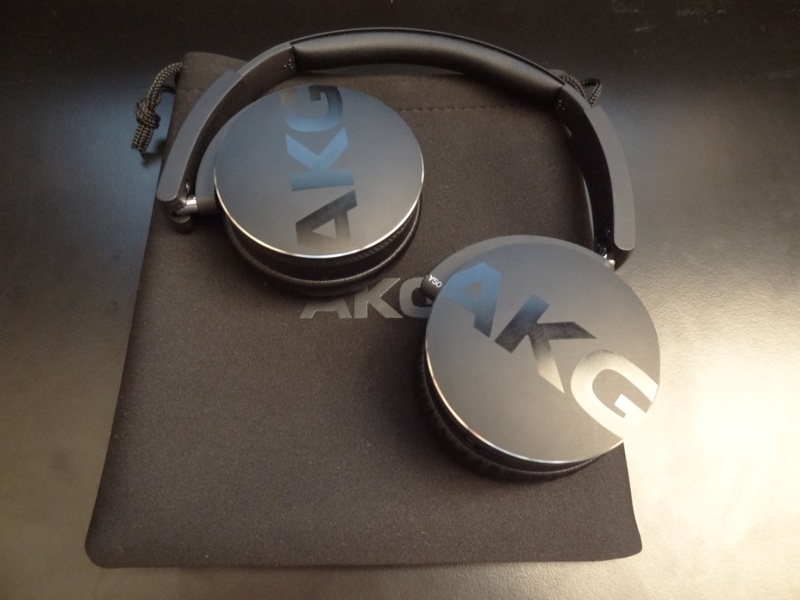 I quite like the pouch that AKG have included as it really does add to the whole portable-feel. The build quality of the AKG Y50 is extremely good. However, I was left disappointed with the disconnection problems with the jack. For some odd reason, the jack seems intermittent, and this very well could be an isolated case, but begs the question regardless. Essentially what happens is the following: When the jack is connected to my phone, it works in a certain position – when the jack is flipped over, it only plays through the left channel. I haven’t experienced this with any of the other headphones, earphones nor interconnects I have at home. The Y50 are really the first that I’ve had trouble with in this respect. This is why I would have liked a separate cable to have been included with my package. Other than that issue, which could very well be an isolated case, the build quality is absolutely superb. The headphones are terminated with a gold plated right-handled 3.5mm jack, which is great for connecting to portable devices. The wire is connected on the right driver only. The Y50’s wire, connects to its driver with a straight 2.5mm gold plated jack. 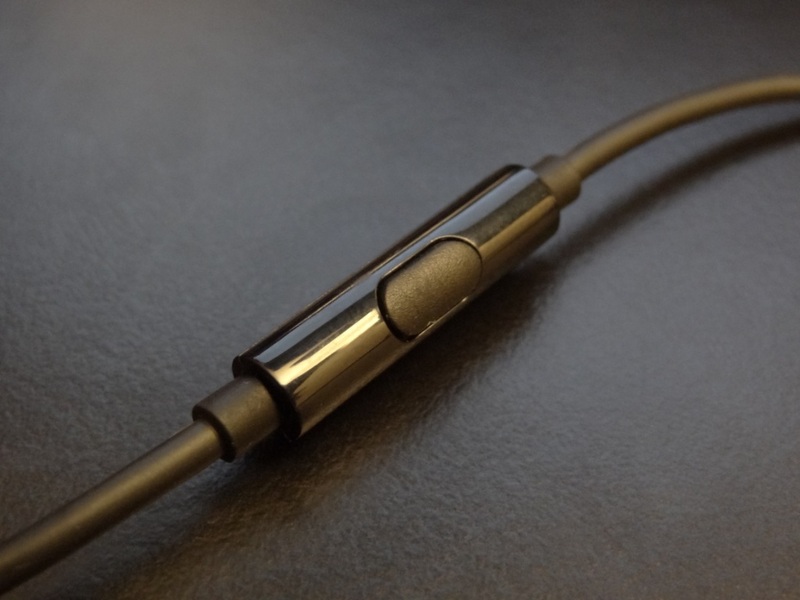 I would have preferred it to be terminated with a 3.5mm jack, as it would make it simpler for wire replacements, but in this case AKG have chosen against that. The wire itself, if it wasn’t apparent already is a mic-enabled one, where it allows you to answer calls and even pause/play music on your device. 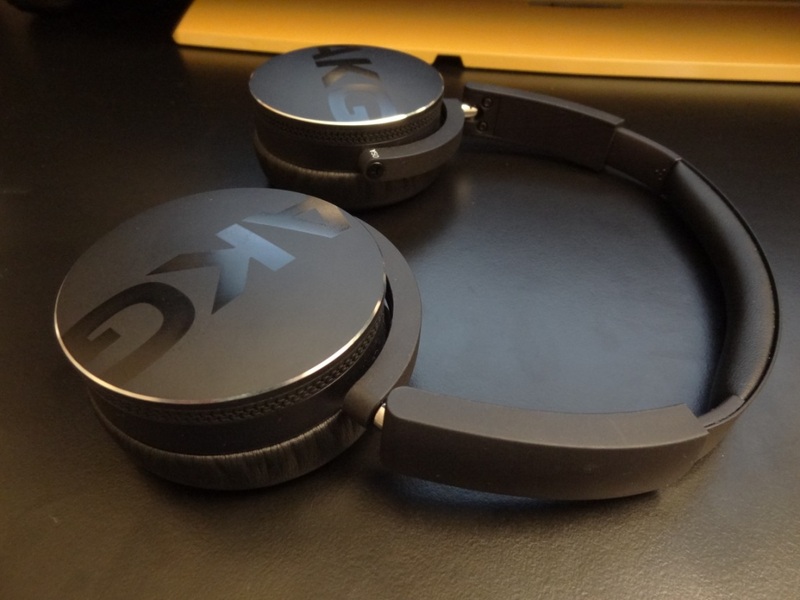 Moving unto the headphones themselves, I was impressed with its overall build quality. First of all, I found the pads to be very comfortable. The pads sit on your ears and are therefore designed as on-ear headphones. 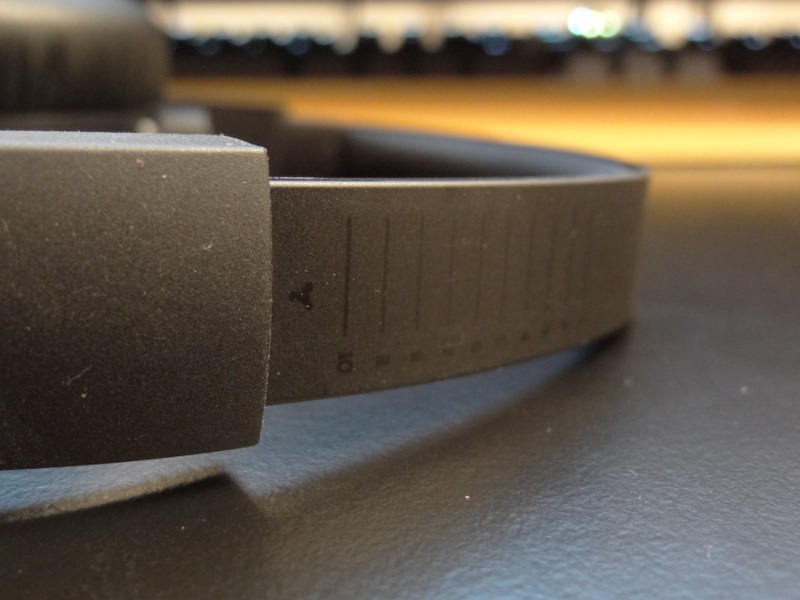 The headband assembly, is very well designed and the materials used really give the Y50s a sense of quality. 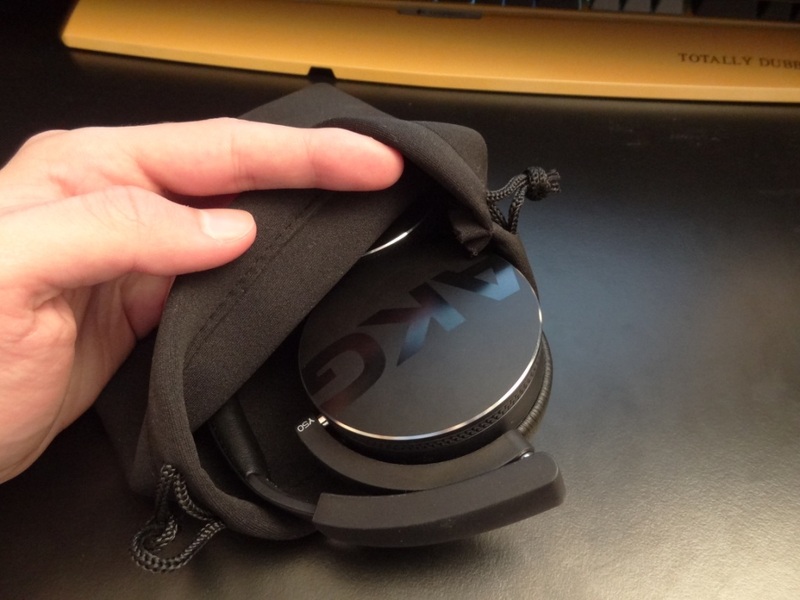 Due to the headphone’s being portable, they can be completely folded and therefore stored away very easily. The headband adjustment has small notches that allow you to precisely determine the height of each side. Although the engraved notches are hard to see without bright light shining on it, it’s still nice that AKG have actually included it. At the top of the headband, you have a very thin layer of padding – which is understandable, due to the nature of the small-factor size. This does however mean that the headphones aren’t particularly comfortable after long listening periods. This is a minor point, and one that I don’t really feel is a flaw of the headphone, rather a compromise you should expect from a portable headphone – be it AKG or other. Overall, the AKG Y50s have an overall great build quality. 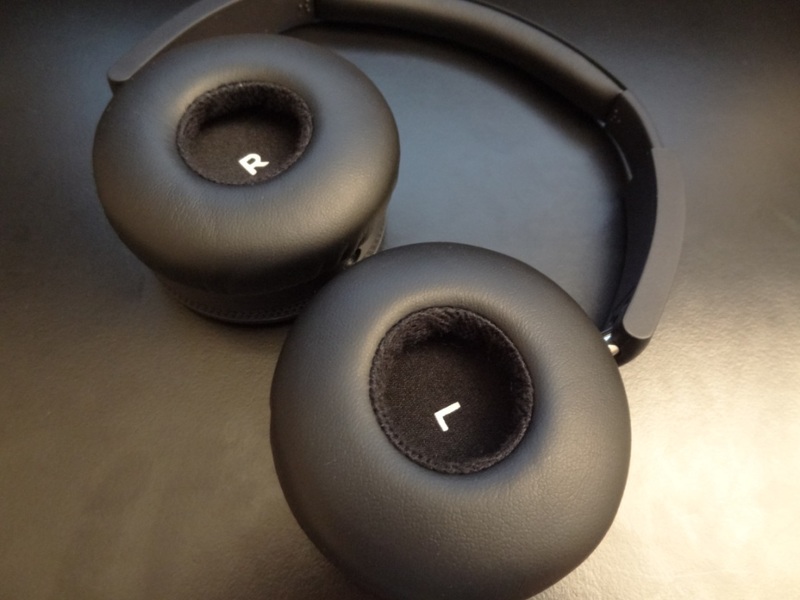 With that said, I was a little disappointed with a few things that Y50s had to offer, although they could be an isolated issue, and therefore thought to not drop the rating of an otherwise-brilliantly made headphone. The looks of the headphone targets the “urban look” market and in that respect the Y50s look exactly where they’re intended for. I opted for the black version of the headphones and therefore didn’t go for anything bold. 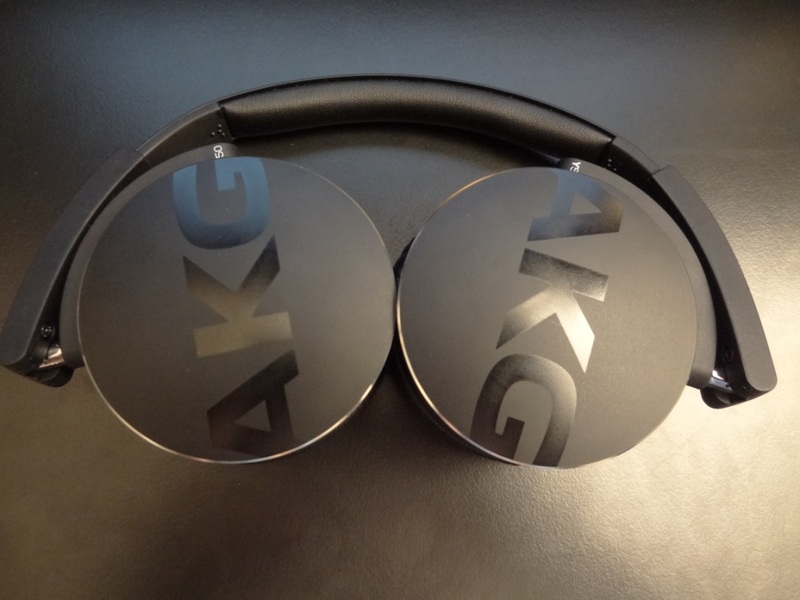 I quite like the looks of the headphone, especially with the AKG logo embedded on the cups. One minor point to draw out of the looks, is that when they sit on your heads, the cups are slightly bigger than you might think. Therefore, the look might not be as flush as you might think. The isolation was expected to be pretty poor, due to the nature of on-ear headphones. Yet again, I know the headphones are designed to be portable and easy to carry and thereof re the on-ear designed was chosen. Therefore, you should be aware, that if you were to take the headphones on the train, they’ll block out noise very poorly. Furthermore, due to them sitting on your ears, music does leak out of them quite easily too. I am therefore in two minds about the chosen design, due to the fact that these headphones are intended for travel and on-the-go portability. They do the portability bit really well, but when it comes to disturbing others in the train or trying to block out noise passively, these headphones have a below-par performance. 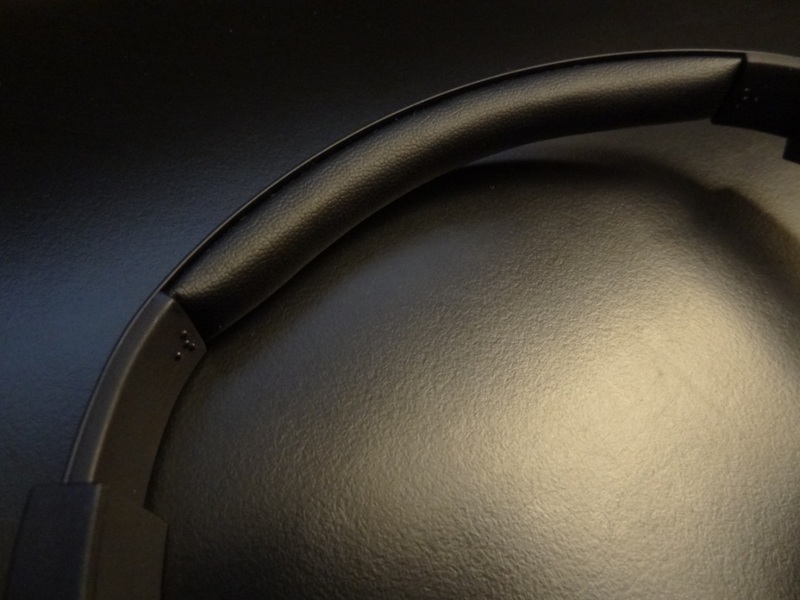 As noted in the build quality section, the comfort of these headphones is slightly dampened by the use of thin padding at the top of the headband. Other than that, the headphones are extremely light and sit on your ears without you taking note of them. Therefore, I found the headphones to be extremely comfortable. AKG are known for producing good sounding headphones, therefore I was hoping that with this new venture in the market, they would at least keep that signature sound. 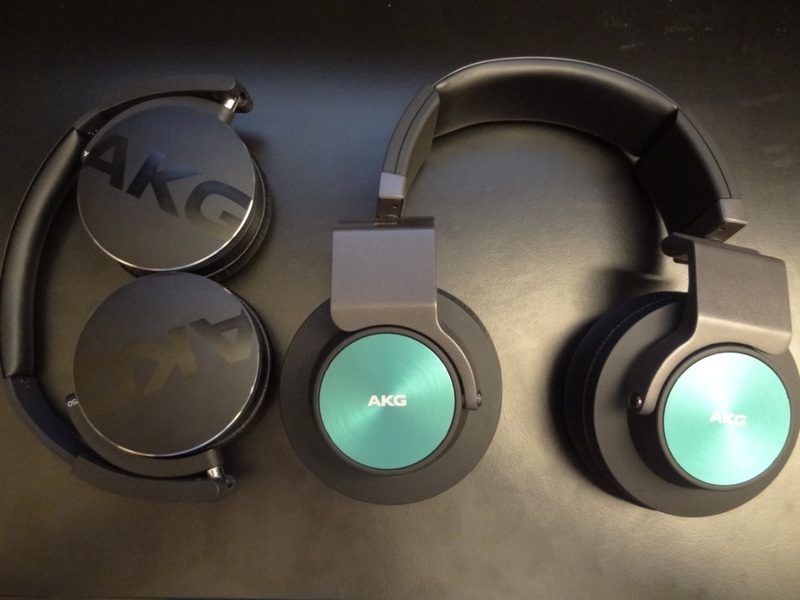 This was unfortunately not the case, I was left disappointed and disheartened of the sound that came out of the AKGs – to the point that it would be easy to simply re-brand them and sell them on as a lower-quality brand. I feel that with the headphones being smaller and cheaper than the rest of the line I’m used to, AKG also cut-down on the sound quality. The lows were quite disappointing. AKG for me have never been known for having nice low-end extension, but in this case, the lows were overly bloated (almost as if AKG were overcompensating) and more than anything, unlike the AKG K545, the Y50s had absolutely no extension. The bass would simply cut off and not extend. Sub-bass was therefore non-existent. 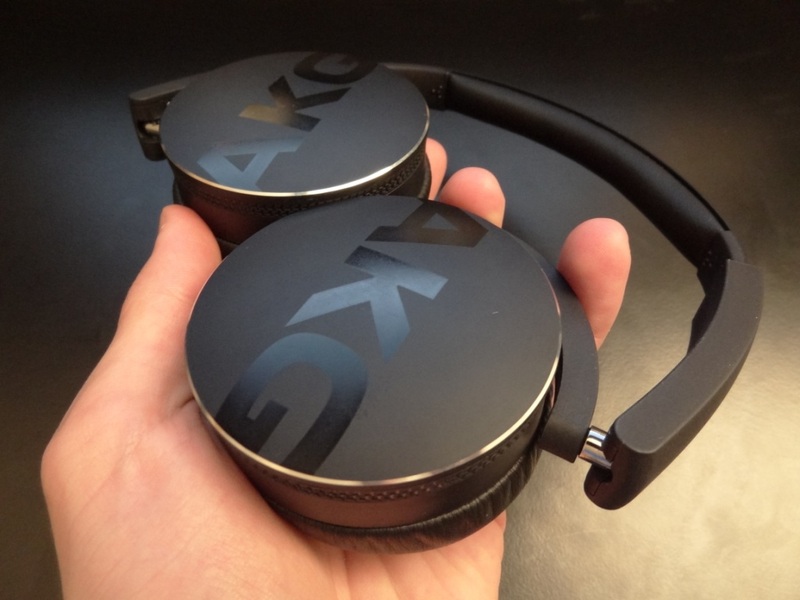 As an over-the-ear headphone, maybe I’m expecting more, but the AKGs really didn’t impress me all that much. They definitely did better than other on-ear headphones I’ve heard, but nothing here really strikes me as a prestigious brand producing a quality portable headphone. The mids and highs were slightly better than the lows, but were again both quite disappointing. The mids were quite veiled, and therefore sounded as if they were being suffocated. Usually this is because there’s a lot of mid-bass, but in this case, the mids had nothing to really worry about from the lows, and yet they still were pushed back and not precise at all. The highs were rolled off too – making the overall experience quite disappointing. There was no sparkle or excitement when listening to the Y50s. 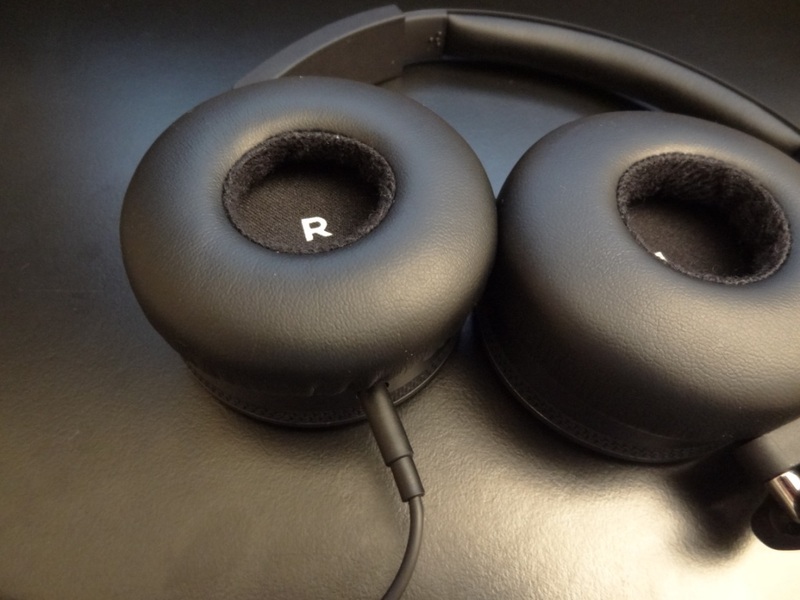 The soundstage, was expected to be quite poor, due to the nature of the headphones being on-ear. I was therefore not surprised to find a “compressed” sound that lacked any depth or width. Overall, the Y50s really didn’t deliver in the sound quality department, which is something that really left me disappointed. This comes mainly down to my previous experience with AKG’s great product range. 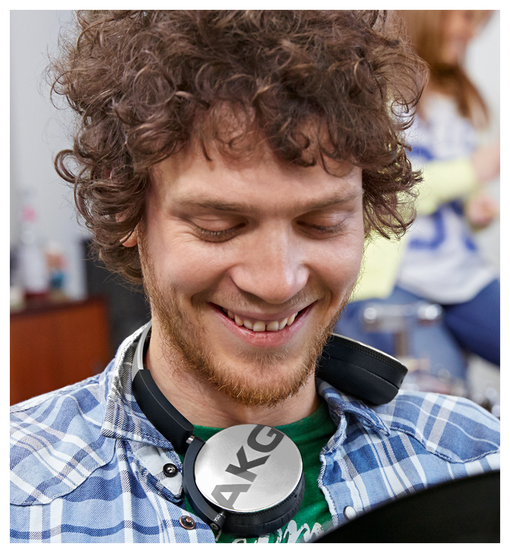 I feel that AKG have left themselves a little down with this product. By compromising the sound quality, my experience went from a great built headphone to a headphone I wouldn’t want to wear, due to its below-par sound quality. All-in-all, the AKG Y50s had a great potential – they do everything right but for the most important factor for any audio equipment, the sound quality. 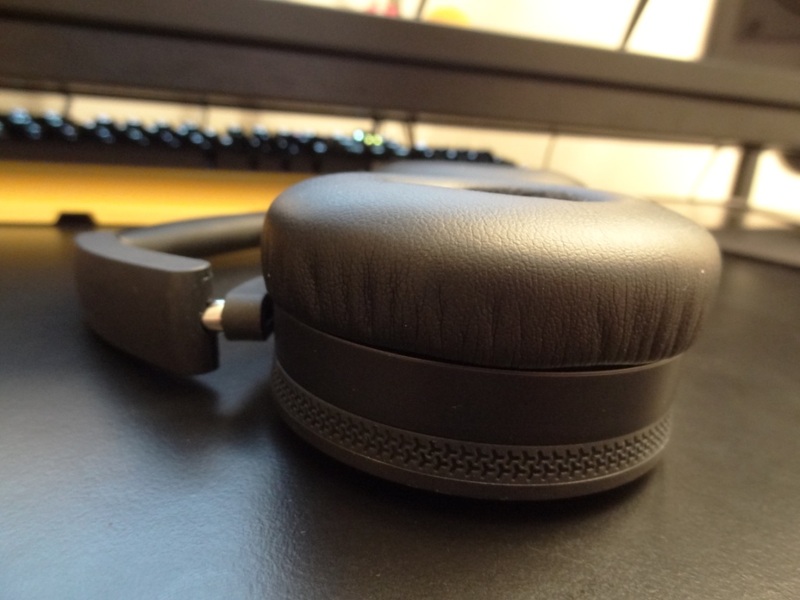 This entry was posted in Audio Reviews and tagged akg, AKG Y50, Headphones, on-ear, portable, Review, y50 on October 3, 2014 by TotallydubbedHD. I would give a 9/10 on this pair of headphones, they are excellent for the low price. The 2.5mm jack needs to be pushed inside until it ‘clicks’. 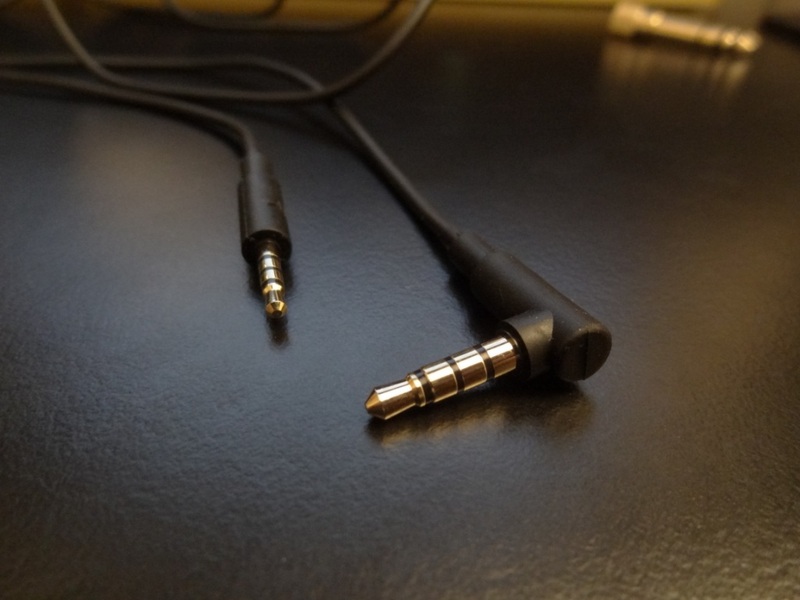 I was afraid when I first noticed I couldn’t hear a good sound, then I spotted my error: I didn’t use enough force to push the male jack inside the female jack on the headphone. Maybe this comment can help. Thanks man, you saved me a bunch of hassle returning my new pair. I love the sound and comfort and couldn’t be happier with the yellow colour! what’s the best headphone on this price range? do you have any suggestion for that? Unfortunately not! Don’t think there’s much you can do really…wear it differently or get another headphone. Did you have the same “problem” when you fold them together and it powers on themselves? Because the power button is in contact with the left part of headphones..
Also I would prefer to have it in opposite sides (left on the right side..and so on). Because I simply cannot do this – https://www.euronics.ee/UserFiles/image/Tooteuudised/akg/y50bt_lifestyle_3.png .. no way. Only with plastic arm inside.